Submitted by mahoney on Mon, 03/17/2008 - 4:34pm. 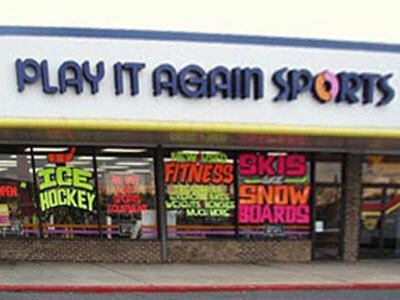 "Play It Again Sports locations" across the US and Alaska...Play It Again Sports is a chain of sporting goods stores selling new and gently used sporting goods franchised by Winmark Corporation. Minneapolis native Martha Morris started the store in 1983, soon growing to several stores. Morris sold the chain to Winmark in 1988 and franchising began, growing to over 300 stores across the United States and 36 stores in Canada. All stores are independently owned and operated. 08/26/2008 Deleted 1 Charlotte-NC location due to closing. Thanks goes to "jefferbob"
Updated to the latest listing in the website locator. Included the Canadian locations and renamed file to reflect that.